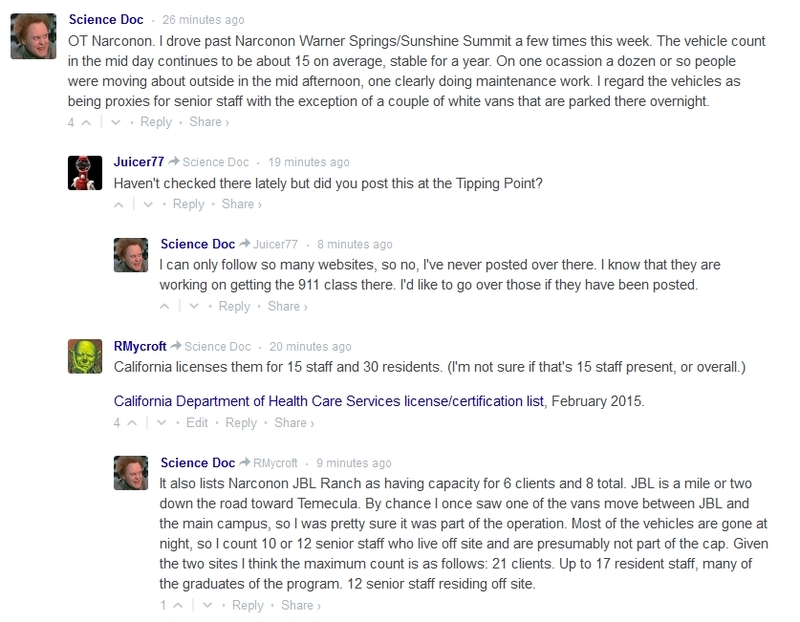 A new complaint about Sunshine Summit Lodge on Ripoff Report from 9/11/2014. Mom or Dad submits the initial complaint. Make sure you see the son's list at the end. We are so happy we got our son out of this facility when we did. Because of a family emergency he came home after two weeks in the program. After he told us of the of the falsehoods. lies, and dangerious proceedures and treatments that where going on there we could not let him return to this program. We feel he would have ended up dead! Below is the letter I wrote to the attorney for Narconon. We have been preocupied with the ilness and death of a family member. Now we are going after these cheats. We are writing this letter because of our total dissatisfaction with the Narconon Fresh Start program, process and the Sunshine Summit Lodge. The fraudulent information and misrepresentations that were given to me, my wife Katherine, and my son Christopher so we would pay $17,500 for our son to enter the Narconon Fresh Start Program are inexcusable. Below is a brief time line of events. We thought we were sending our son to a rehab facility and not a church indoctrination program. AND a new client for Ryan Hamilton! Not certain, but the complaint and lawsuit may be connected. I believe it's called fraud. Hoping the lawyers will be all over this one. I'm still waiting to see a TV ad with a "Call 1-800-narconon-fraud if you've been ripped off by narCONon" blurb. Interesting intel and truly depressing how many graduates go on to work for Narconon. During the Major Use Permit hearings there was a concern as to the number of staff that would reside in and around Sunshine Summit, the TOTAL number of staff was to be 15 with three living onsite at all times and the rest somewhere in the neighborhood.